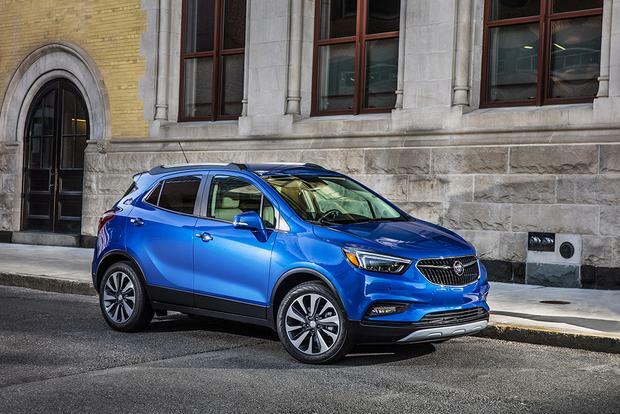 The 2019 Buick Encore stands out by offering a degree of comfort and quiet that no other subcompact crossover can match. 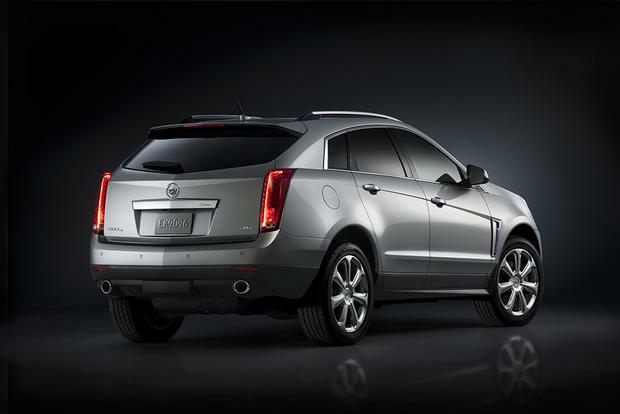 GM's entry-level luxury brand finds itself in an odd place in the current automotive landscape. 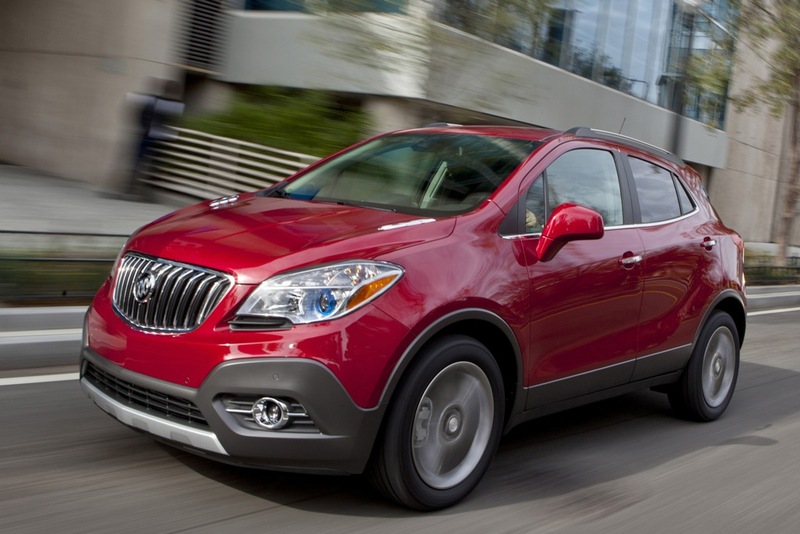 The 2018 Buick Encore may be subcompact in size, but it's grown-up in demeanor. It's more comfortable, quiet and refined than its rivals. Monday Quiz: Can You Identify This Car? It's time for Monday Quiz, where I ask you to identify a car, and you get completely stumped. We've listed November's top CPO deals for shoppers looking to save money -- and get the peace of mind of an excellent warranty. If you're a recent college grad with a new job, you're likely wondering what the best cars are for commuters on a limited budget. Fortunately, there's never been a better time to be in the market. Dealerships are flush with affordable models that are fun, fuel-efficient and thoughtfully designed. We polled our editors, and here are the top 10 models they came up with for recent college grads itching to hit the road. Blurring the line between hatchback and crossover SUV, the diminutive Encore (priced from $24,990) is an intriguing option if you feel like rewarding yourself for getting a solid job. It has a premium vibe inside thanks to bold color schemes and satisfying build quality, and its sleek exterior styling puts Buick in a favorable new light. Equipped with a standard turbo 4-cylinder engine, the Encore returns a healthy 33 miles per gallon on the highway with front-wheel drive, and you can specify all-wheel drive if you like. Plus, the Encore's hatchbacklike dimensions make it a cinch to park in tight spaces. Want to save a little more per month? The subcompact Trax crossover (starting at $20,995) is the Encore's humble cousin, but that doesn't mean it's not desirable. 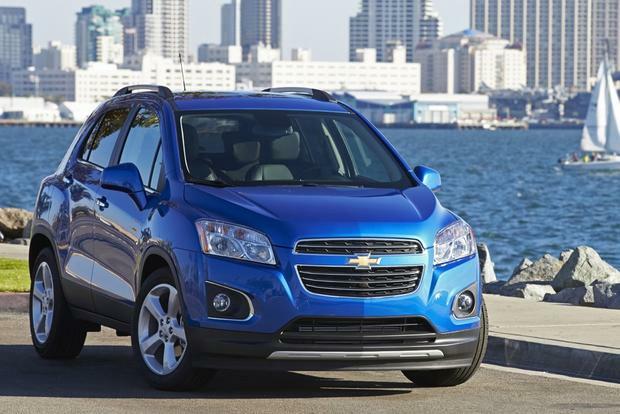 Featuring the same turbocharged powertrain, the Trax achieves up to 34 mpg hwy. All-wheel drive is also available. Standard equipment is generous, including a sharp 7-inch color touchscreen that handles most infotainment functions. You can go crazy with options such as a sunroof and Bose audio, but consider sticking with the base model -- it's still plenty nice inside. Always a top choice for practical shoppers on a budget, the Fit (from $16,470) burnishes its appeal with a full redesign for 2015. Rear legroom was already a strength, but now there's even more of it, and you still get the uniquely versatile Magic Seat, which provides multiple cargo-carrying configurations behind the front row. Fuel economy is finally up where it should be, touching 41 mpg hwy with the continuously variable transmission (CVT) -- a juicy 6 mpg better than the previous Fit automatic. There's a lot more cool tech inside too, especially if you spring for the EX with its 7-in touchscreen and LaneWatch blind spot monitoring system. Talk about affordable! 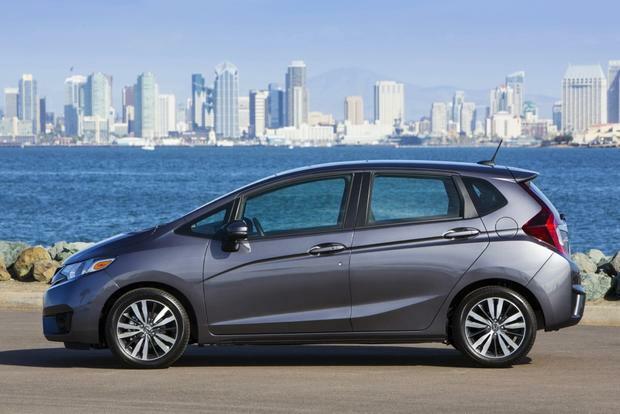 If you don't mind not having convenience items such as power windows, the base 2015 Versa Note S can be yours for just $15,005, and you can probably do better than that with a little negotiating. 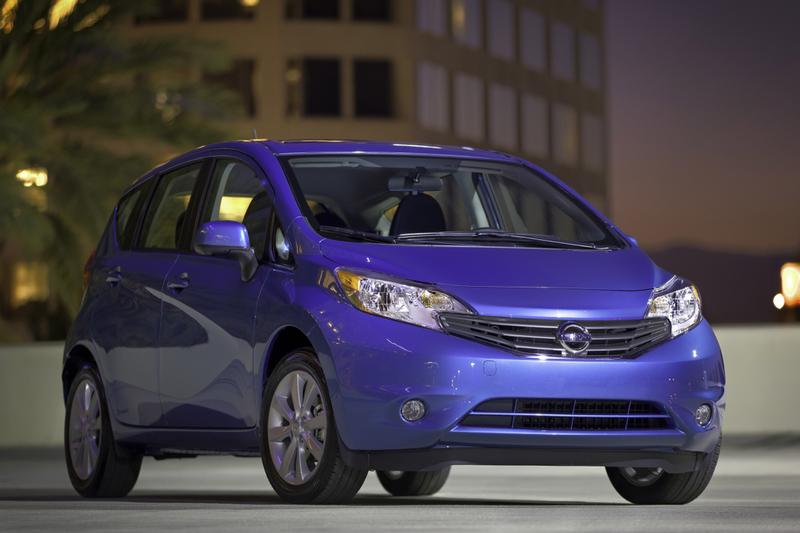 The Versa Note has an incredibly spacious back seat for such a tiny car, providing more headroom and legroom than some significantly larger vehicles. The handy hatchback body style has plenty of room for your stuff, especially when you fold the rear seatbacks down, and fuel economy is right where it should be at 40 mpg with the available CVT. Are you looking for the most fun for your money? Look no further. Offered as either a sedan or a 4-door hatchback, the Mazda3 (starting at $17,765) is a pint-sized performance car that just happens to be a practical economy car, too. The steering is sports-car precise, and the suspension does a great job of limiting body roll, resulting in an athletic feel that's unmatched in this class. 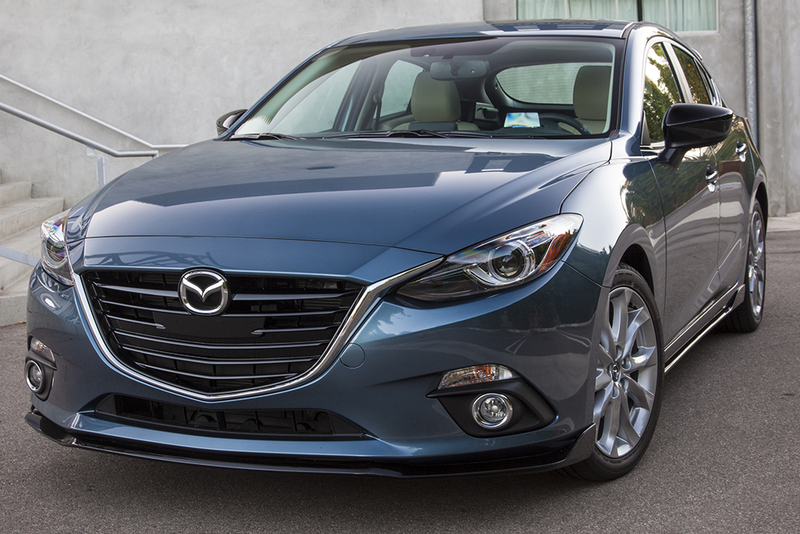 Both available 4-cylinder engines are smooth and peppy, and both are great on gas, too. The base 2.0-liter unit tops out at 41 mpg hwy and the upgraded 2.5-liter version returns 39 mpg hwy. Budget permitting, we'd be tempted to splurge on the 3's optional knob-based infotainment system and leather upholstery. In any form, however, the 3 is one of the very best cars in this price range. 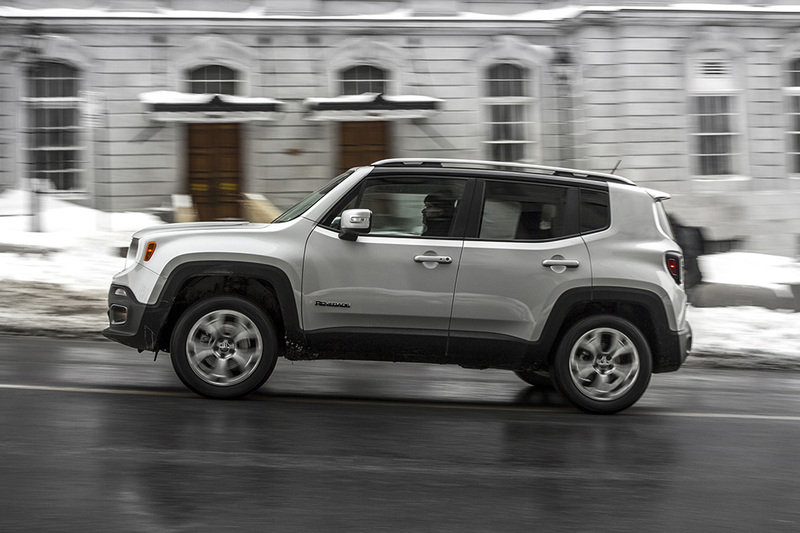 Purists pooh-pooh the idea of a compact Jeep crossover, but they should drive the Renegade before they make up their minds. With up to 8.7 inches of ground clearance and an available dual-range transfer case, this Jeep can handle the trails just fine, thanks very much. But with the base manual transmission and turbocharged 1.4-liter engine, it's like a hot hatchback on its tiptoes when you're tooling around town. The boxy shape means the interior is superpractical, with ample cargo space and acres of headroom in case you favor extremely tall hats -- think Dr. Seuss hats. What a pleasant surprise this little rig has turned out to be, and it starts at just $18,990. 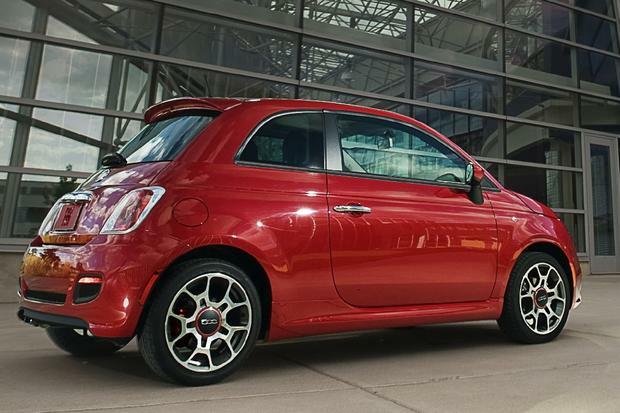 Loved around the world for its special blend of style and affordability (base price: $17,825), the 2-door "Cinquecento" hatchback is great fun to drive without putting great strain on your finances. The fuel economy is certainly there, hitting a nice 40 mpg with the manual transmission and base engine. You can also opt for a turbocharged engine that adds some zest. Seemingly endless color combinations and other personalization options add to the fun. If you're lucky enough to work in a temperate climate, check out the 500c with its full-length, power-retractable fabric sunroof. Ah, the practical choice. 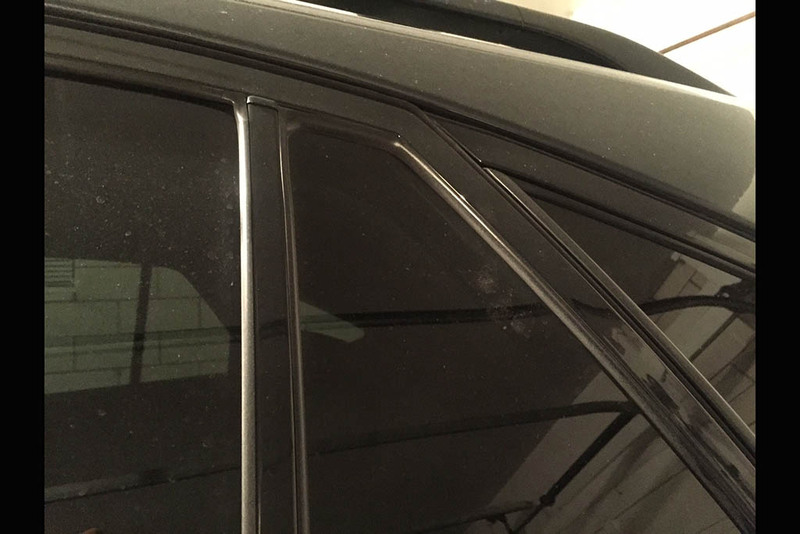 The smooth, supple Camry may not be the most exciting midsize sedan on the market, but it has a nearly peerless reputation for dependability, low maintenance costs and high resale value. Everyone knows someone who's put crazy miles on a Camry with no major issues. When you're just starting out, being able to rely on your car every day is a particularly big deal. 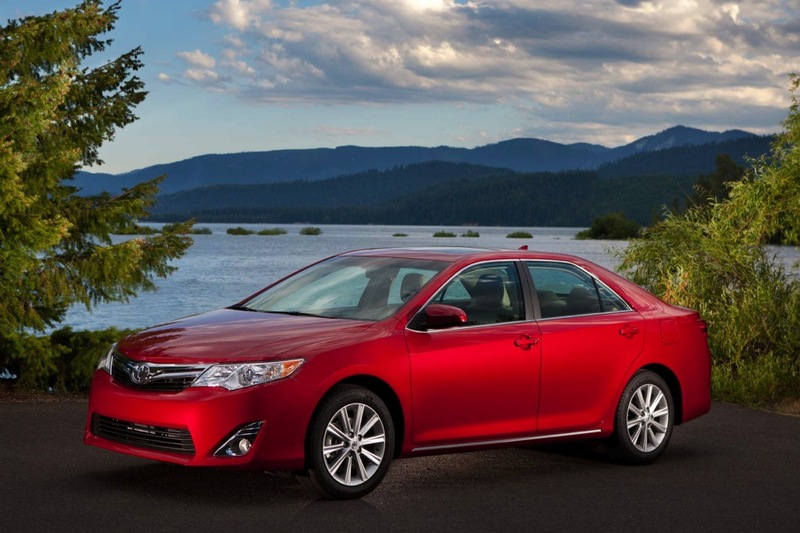 We recommend Toyota's certified pre-owned (CPO) program, which offers low-mileage reconditioned Camry models with comprehensive factory warranties. The current-generation Camry debuted for the 2012 model year, and right now, the nationwide average price for a CPO 2013 Camry on Autotrader is just $19,188. The Fusion is like the Camry's carefree friend, the one that's always daring it to have a little fun. With exterior styling inspired by Aston Martin and a sporty wraparound cockpit, the Fusion shows that midsize sedans can have a little personality, too. On the road, this Ford lives up to its sleek looks with some of the most responsive handling the segment has to offer. It's also available as a hyperefficient hybrid, just like the Camry. Go with a CPO example and save yourself a bundle of cash. 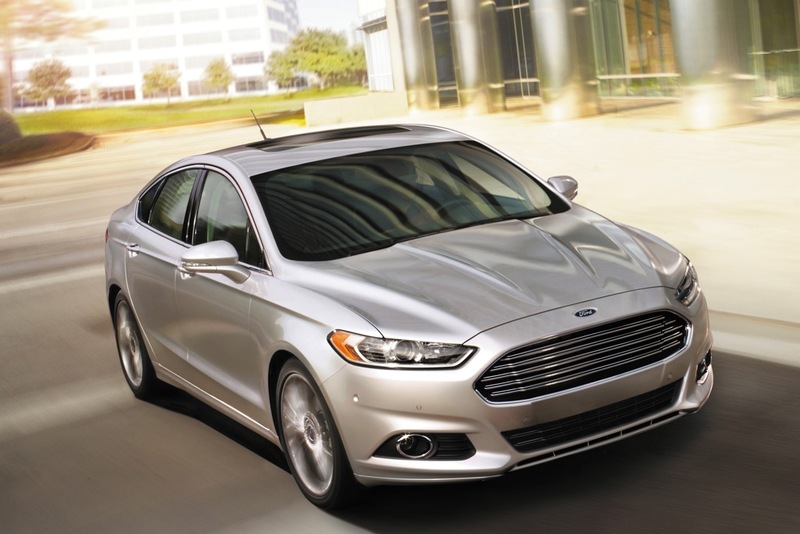 The current average Autotrader price for a CPO 2014 Fusion is a very reasonable $19,712. Want to treat yourself? Paying top dollar for a luxury car right off the bat is probably a little extreme, but a CPO Lexus IS could give you the best of everything. The sporty IS sedan promises Toyota reliability (Lexus, as you probably know, is Toyota's luxury division) along with BMW-grade handling and luxury, all wrapped in taut, upscale sheet metal. With the magic of depreciation, you'll end up paying Toyota prices for a lightly used CPO specimen. It's a compelling Plan B if you're not sold on any of the brand-new models mentioned above. 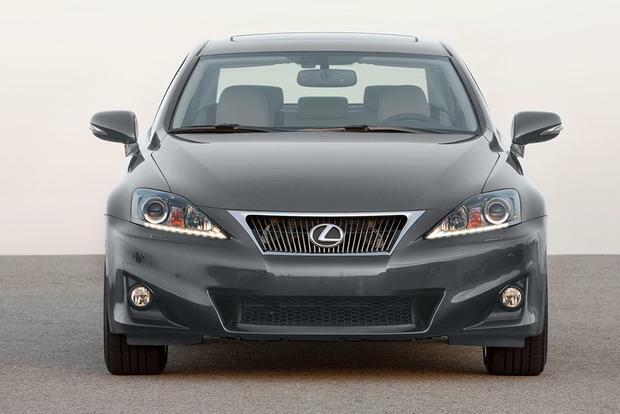 The IS 250 is the practical choice with its smaller engine, and if you set your sights on the proven previous-generation model, the average price for a CPO 2012 IS 250 on Autotrader is $27,690. We're living in a golden age for reasonably priced cars and crossovers, and you can't go wrong with any member of this crew.